Rapper, chef, and television star Action Bronson is a marijuana superhero, both its champion and devoted consumer, and Stoned Beyond Belief is the ultimate love letter to the world’s most magical plant: weed. This is an exploration of every corner of the pot galaxy, from highly scientific botanical analyses and the study of pot’s medicinal benefits to a guide to the wild world of weed paraphernalia. Organized loosely as 100 entries and packed with illustrations and photos, Stoned Beyond Belief is a trippy and munchie-filled experience as well as an entertainingly valuable resource for weed enthusiasts and scholars. 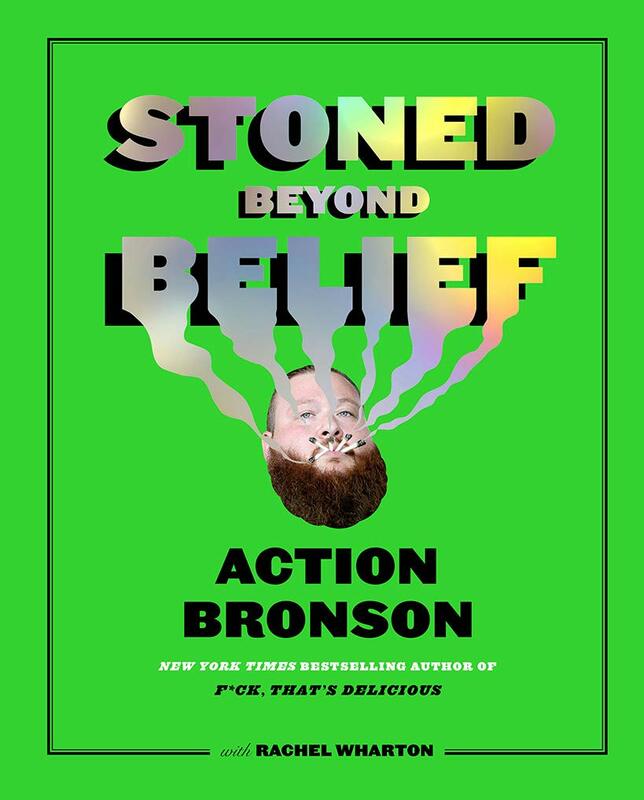 From recipes for heady edibles to advice on finding the right weed shaman, Stoned Beyond Belief will delight Action Bronson fans and pot aficionados all across the universe. Action Bronson is the powerhouse behind F*ck, That's Delicious. He is the television host of VICELAND's F*ck, That's Delicious and The Untitled Action Bronson Show, has more than 1.3M followers on Instagram, and millions stream his outrageous videos. Rachel Wharton is a James Beard Award–winning food writer who lives in New York City. Action Bronson is the powerhouse behind F*ck, That's Delicious. He is the television host of VICELAND's F*ck, That's Delicious and The Untitled Action Bronson Show, has more than 1.3M followers on Instagram, and millions stream his outrageous videos. Rachel Wharton is a James Beard Award-winning food writer who lives in New York City.